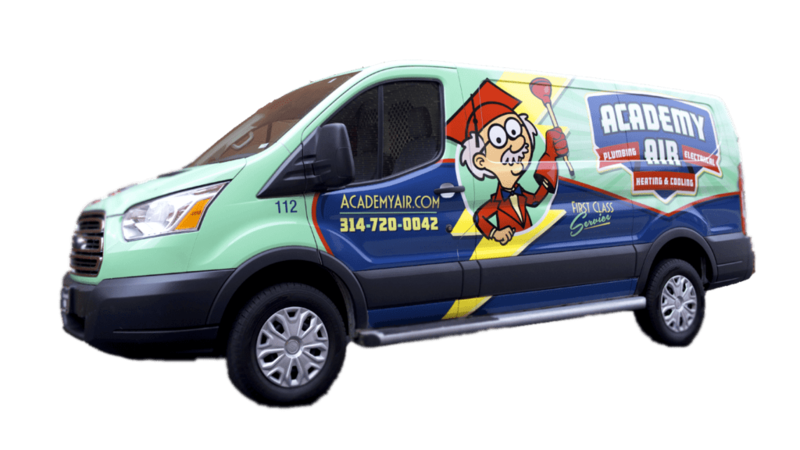 Call Academy Air today for any questions you may have about our Plumbing, Heating, Cooling, or Electrical Services! For emergencies please call us immediately at (314) 720-3580 , or call 911. After filling out the form below, one of our customer service reps will contact you within 24hrs to finalize the details of your appointment. You may also fill out the form below & we will be in contact with you shortly. If you are in need of immediate furnace or air conditioner repair, don’t hesitate! Academy Air is the company for you. Contact Academy Air by phone at (314) 720-3580 or fill out the form on this page at any time and we’ll take care of you! We expect the unexpected. That’s why we offer emergency HVAC repair services that are available for you whenever you need them, whether it’s day or night, record-breaking heat, extreme cold or even holidays. Our elite technicians are always on call should your furnace or air conditioner break down. They are factory trained on all manufacturers’ products so they can quickly diagnose your problem and get it fixed fast. With Academy Air, you won’t have to worry when the unexpected happens.